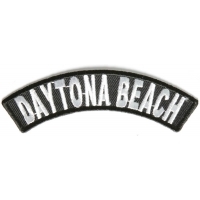 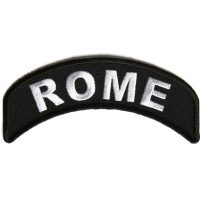 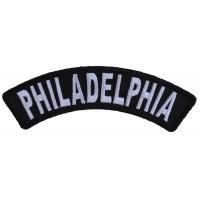 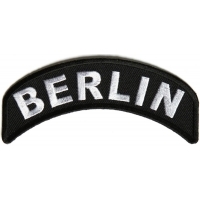 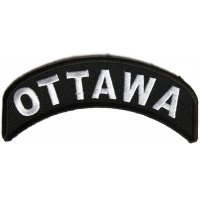 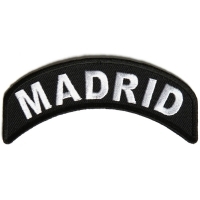 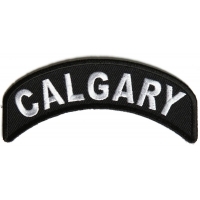 Listed here our quality embroidered city name patches. 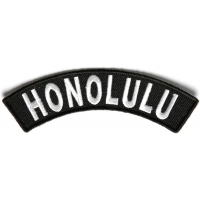 We started this category with 35 different city names and now grown up with 45 different city names. 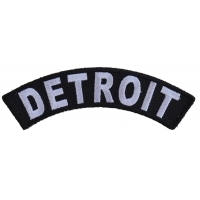 Get your hometown cities patch on your shoulder. The 4 inch arm patches of cities can also be sewn on front of vests. 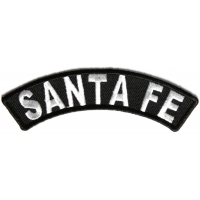 You can also iron on these patches on to your clothes. 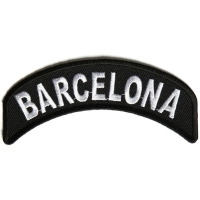 Heat will ruin leathers, Please do not iron on patches to leather or nylon material. We stock all our patches listed here, place your orders today we ship them out the same day. We are experimenting to see whether there is a market for embroidered city names. We decided to start with 35 popular cities. These are all small patches measuring 4 inches wide and about an inch tall. 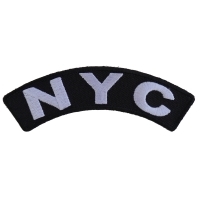 Embroidered mostly in white over black these city name patches can be sewn or ironed on. 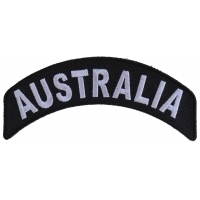 We recommend you place them over the shoulders of your jacket or the front of your vests, the sizes are perfect for them to fit almost anywhere on your clothing. 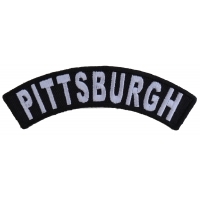 We do not make these large sizes. If you are interested in large versions of these as either top or bottom back rockers we recommend you purchase a blank large rocker from our blank patches section and have it embroidered at a place like your local mall. 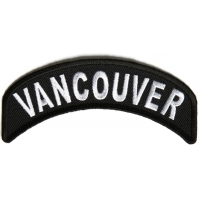 For us to make custom patches we do require a 20 piece minimum per design. 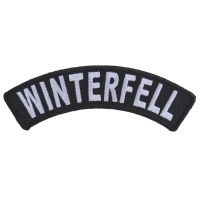 Remember we do wholesale as well, apply for wholesale patches to get a wholesale account.